Serbian Prime Minister Ana Brnabic talked to the CEO of the of India's Tractors and Farm Equipment (TAFE), Mallika Srinivasan, about the company's plans for the upcoming period. As said on the website of the Government of Serbia, Srinivasan introduced Brnabic to the plans and preparations for the production of upgraded tractors with Euro 3 engines and pointed out that the first such model had been presented at the Novi Sad Agricultural Fair. She emphasized that the company would primarily focus on the production of mechanization meant for small farms, which comprise the majority of production in Serbia. Srinivasan pointed out that she was interested in cooperating with the Government of Serbia, so that the purchase of mechanization would be facilitated for such farms. 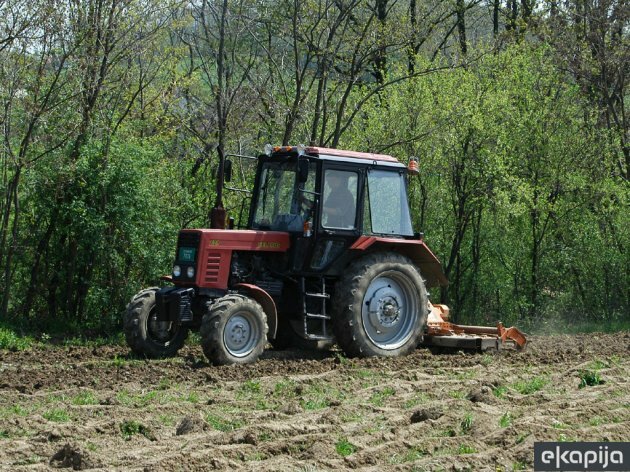 Brnabic said that the Government of Serbia had already prepared credit support for agriculturists for the purchase of tractors and that a Guarantee Fund for producers of fruit and vegetables for the procurement of mechanization was also planned. Srinivasan pointed out that the company also planned multimillion investments in production facilities in Serbia. According to her, the aim of the company is to have 5,000 tractors produced a year in Serbia over the next five years, and the penetration of the Russian Federation market would follow upon the meeting of all the necessary conditions. Brnabic said that the Government of Serbia would provide all the necessary help and support to the company's management, so as to have the plans for the upcoming period realized as easily as possible. This April, TAFE bought the legal person, that is, the trademark of IMT, the facility in Jarkovac near Secanj and technological blueprints for around RSD 66 million. Srinivasan, who placed 63rd on Forbes' 2017 list of the 100 wealthiest people in India, has visited Serbia several times so far.